A ceasefire between Israel and Hamas may have been reached on paper, but evidence already indicates that it is unlikely to hold. A top Palestinian Islamic Jihad leader has already warned that the ceasefire would be short and that a "new, more savage round" of fighting with Israel lies ahead. The agreement establishes Egypt as the guarantor of peace between Israel and Hamas even though President Mohammed Morsi and members of his government openly aided and supported Hamas in the conflict. 1. Hamas Will Adhere to a "Ceasefire"
Hamas accepted a ceasefire with Israel in this latest escalation. However, the Arabic word for truce, "hudna," is perceived differently within the Hamas mentality. In this modern context, a hudna involves a temporary lull in the violence that allows Hamas the necessary time to organize and re-arm itself in anticipation of a future conflict with Israel. It is different from a ceasefire in that it is an agreement to halt hostilities for a defined period of time only, not a peace agreement. Hudna was the first word used in Muslim history to describe a ceasefire, found in context of the 7th century Treaty of al-Hudaybiyya - referring to a truce that came six years after Muhammad and his followers deserted Mecca for Medina. This agreement allowed Muhammad and his followers to pray in Mecca, which was then under control of the Quraysh tribe, for a decade. However, when Muhammad's army became strong enough, it used an attack by the Quraysh-aligned Banu Bakr tribe two years into the pact as a pretext to give the Quraysh an ultimatum to disavow their allies, pay restitution for their attack against the Muslims or nullify the treaty. The Quraysh chose the final option and Muhammad marched on Mecca and easily conquered the city. This event set a precedent, justifying the abandonment of operations for the purposes of regrouping and rearming, allowing for a future attack on the territory left behind. The late PLO Chairman Yasser Arafat alluded to the Treaty of al-Hudaybiyya while giving a speech in a mosque in Johannesburg, South Africa in 1994, suggesting that peace with Israel would be temporary. History has proven that Hamas subscribes to this perspective, and that it uses hudnas as temporary lulls in the fighting prior to renewing hostilities. In June 2003, Hamas announced a hudna with Israel, yet it ended violently with a suicide bombing two months later in Jerusalem that killed 22 people and wounded more than 130. Likewise, Israel's 2008 incursion into Gaza led to a hudna as well. However, Hamas ended this temporary truce by firing rockets into Israel sporadically since the last "ceasefire," escalating the attacks dramatically in the past month. Modern interpretations of hudna mean there will be no end to the religiously-inspired struggle until Israel is defeated. The Hamas covenant proves this point: "There is no solution for the Palestinian question except through Jihad. Initiatives, proposals, and international conferences are all a waste of time and vain endeavors." Hamas co-founder Sheikh Ahmed Yassin regarded the hudna as a "tactical move" in its war with Israel. Discussing the prospect of peace with Israel earlier this year, Hamas leader Moussa Abu Marzook indicated that his organization would be open to a hudna with Israel, but it would never renounce its goal of Israel's destruction. Hamas, designated as a terrorist organization by the United States and the European Union, does not distinguish between the West Bank, the Gaza Strip and pre-1967 Israel. To it, all of "Palestine" is occupied. 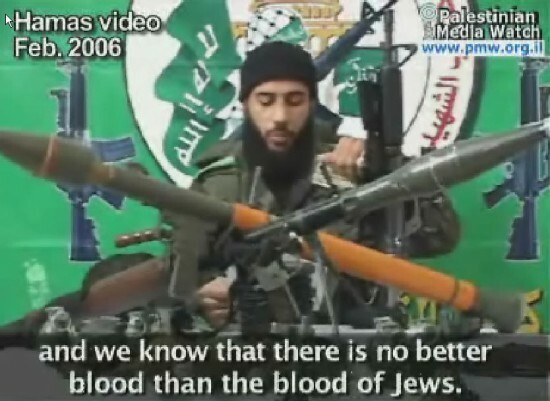 The Hamas charter explicitly calls for the destruction of the Jewish state as its top priority. In fact, Hamas prides itself as the main "resistance" (code word for terrorism) movement against Israel. "All the energies of the people and the ummah (nation) [are needed] in order to uproot the oppressive Entity," al-Qassam Brigades Commander Muhammad al Deif said just before the current ceasefire. Any recognition of Israel's right to exist is unacceptable to the Hamas leadership. This belief is the root of the conflict. In light of a Nov. 21 bus bombing of in Tel Aviv, Hamas member Ezzat Rishq confirmed that the attack was a "repercussion of the Israeli aggression on the Gaza Strip." Rishq added that "the Zionist Entity should know that the continuation of aggression and crimes against our defenseless people in Gaza will double the state of rage, boiling excitement and discontent among our people everywhere against their crimes, soldiers and extremists, pointing out that the Zionists have to expect worst." With Israel's unilateral withdrawal from the Gaza Strip in 2005, removing every Jewish resident and soldier from the territory, Palestinians were given a chance to fully govern themselves and build their society. However, instead of trying to improve Gaza's standard of living, Hamas remained focused on its hostility toward Israel by firing rockets at the Jewish state immediately after taking over. Since Hamas first exerted control in Gaza in 2006, 6,109 rockets have hit Israeli territory. It fully seized power in a bloody Palestinian civil war with the rival Fatah faction in 2007. In response, Israel imposed a blockade on Gaza in an attempt to curb the flow of arms to Hamas. This year alone, 1,822 rockets have hit Israeli territory. From November 10-13, immediately prior to Israel's operation, Hamas fired 121 rockets into Israel. Hamas launched another 1,500 rockets after Israel initiated Operation Pillar of Defense on Nov. 14. Israel's blockade is by no means an "occupation" - rather, it is a necessary response to stem Hamas' weapons smuggling into Gaza, actions that threatens Israel's security. This tactic is nothing new, as the United States blockaded Cuba during the Cuban Missile Crisis in 1962, and the United Kingdom blockaded the Falkland Islands during its war with Argentina in 1982. A 2011 United Nations report concluded that Israel's blockade of the Gaza Strip is legal under international law. Israel went to extraordinary means to minimize innocent Palestinian casualties in response to the terrorist rocket barrage. Prior to any action, the Israeli military dropped thousands of leaflets in Arabic warning Gaza residents of impending attacks. This effort gave residents time to evacuate the area. Collateral damage happens because Hamas intentionally embeds itself in population centers inviolation of international law. If Israel deliberately targeted civilians, its military superiority would allow it to inflict far greater casualties. An Israeli pilot actually aborted a strike mission on a rocket launch pad located in a playground because he saw Palestinian children nearby. That rocket ended up being fired at Tel Aviv, causing Israeli children to run for the bomb shelters. Imagine what the United States government would do if the Mexican drug cartels fired thousands of rockets at San Diego, Phoenix, or other cities along the Mexican border from the safety of Mexico. Israel strives to minimize civilian casualties. Hamas tries to maximize Israeli civilian casualties and strike fear into the population. This is self-evident based on the fact that Israel strategically targets Hamas terrorists with accurate, pinpoint airstrikes. Hamas, on the other hand, indiscriminately fires deadly rockets at Israeli cities with the intent of killing or maiming Israeli civilians. Hamas purposefully fires from Palestinian population centers to elicit an Israeli response that occasionally results in civilian casualties that who it can use for strictly propaganda purposes. The terrorist group also uses Palestinians as human shields to protect military targets, which is considered a war crime under international law. "Hamas ... has a media strategy," Israeli Ambassador to the United States Michael Oren wrote last week. "Its purpose is to portray Israel's unparalleled efforts to minimize civilian casualties in Gaza as indiscriminate firing and children, to Israel's rightful acts of self-defense into war crimes. Its goals are to isolate Israel internationally, to tie its hands from striking back at those trying to kill our citizens and to delegitimize the Jewish state." Unfortunately, many in the mainstream media implicitly allude to a moral equivalence between Hamas and Israel by insinuating that both sides are at fault for this recent escalation. 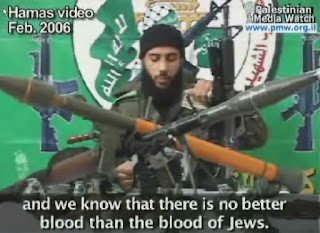 For instance, Ethan Bronner from the New York Times started his Nov. 17 report by stating: "When Israel assassinated the top Hamas military commander in Gaza on Wednesday, setting off the current round of fierce fighting ..." Bronner conspicuously omitted the fact that Hamas fired more than 100 rockets in the days leading up to Israel's operations. There is absolutely no moral equivalence between actions by Hamas and Israel - this recent escalation would have been avoided had Hamas not initiated the rocket fire. It is in Hamas' interest to inflate Palestinian casualty figures. Throughout the years, Hamas has used fake images, staged funerals and lied about specific casualties to enhance the perception that Israel was committing deliberate massacres. This recent escalation has been no different. A photo was circulated in the media following the start of the recent conflagration allegedly depicting a Palestinian child who was supposedly killed by Israel. In fact, the child was one of the 30,000 casualties of the Syrian Civil War. Another infamous picture making headlines shows visiting Egyptian Prime Minister Hisham Qandil and Hamas Prime Minister Ismail Haniyeh embracing a dead Palestinian boy whom they label as a victim of an attack by the Israeli Air Force. However, "experts from the Palestinian Centre for Human Rights said they believed that the explosion was caused by an errant Palestinian rocket" that landed within Gaza. Hamas creates these fabrications and lies to gain ground in the public relations war with Israel - the only battle it can win. In the social media and communications age, the propaganda war is a vital component to get Hamas' message across. Israel continues to transfer goods and supplies into the territory to help Palestinian civilians despite the rocket fire from Gaza. In fact, Gaza civilians do not suffer from a scarcity of food or other basic needs. Throughout this recent escalation, the Jewish state has facilitated the transfer of essential food, water, fuel and electricity. Moreover, Israel continues to treat Gazans in Israeli hospitals. Post-uprising Egypt, which is now ruled by the Muslim Brotherhood, has explicitly thrown its weight behind Hamas and blamed Israel for this latest violence. Egyptian President Mohammed Morsi tweeted on Nov. 16: "Egypt stands as a protective shield for the Arab and Islamic nation" and "O People of Gaza, you are of us and we are of you. We will not abandon you." In the past, Egyptian President Hosni Mubarak played a crucial role as a mediator between both sides. Morsi is personally linked to Hamas, which was created as the Palestinian arm of the Muslim Brotherhood. As Morsi panders to domestic sentiment and engages in a concerted effort to garner more global public support for the Palestinians, Egypt cannot continue to claim that it is an honest broker for truce talks between Israel and Hamas. It is clear Egypt is not a neutral party. President Obama has engaged Turkey as a constructive player in this crisis. Turkish Islamist Prime Minister Recep Tayyip Erdogan recently called Israel a "terrorist state" in response to Israel's defensive actions in Gaza. This comment is ironic, given Turkey's own terrorist insurgency conflict with the Kurdistan Workers' Party (PKK). In one incident, Turkey was responsible for the death of 35 civilians in an airstrike near a Kurdish village. Turkey has also illegally occupied Northern Cyprus since it invaded the island in 1974. In contrast, Israel has no forces stationed in Gaza. Turkey believes it is justified to retaliate against aggressive actions in its own case - but vilifies Israel for defending itself against Hamas attacks. Furthermore, the United States Commission on International Religious Freedom (USCIRF) put Turkey on its list of "countries of particular concern." This action places Turkey among the world's most repressive states such as Iran, Saudi Arabia, and North Korea. In addition, Turkey jails more journalists than any other country in the world, according to the Committee to Protect Journalists, which reported at least 61 Turkish journalists are imprisoned directly because of their work. Under Erdogan's Islamist government, Turkey has suffered severe setbacks on their religious and media freedom. On Nov 20, Erdogan declared that Israel is engaging in ethnic cleansing in Gaza, a preposterous accusation coming from a government that refuses to acknowledge its nation's responsibility in the Armenian genocide of 1915 or the millions of Greeks, Assyrians and other minorities who were ethnically cleansed by the Turks after World War I.
Iran's fingerprints are all over Hamas' rocket arsenal, including the Fajr-5 long range rockets which were fired at Tel Aviv and Jerusalem. Iran is Hamas' main benefactor - supplying weapons, providing training, and sending money. Furthermore, Iranian Gen. Mohammad Ali Jafari told Iran's Fars News Agency that it has given Hamas the technology to build its own Fajr-5s. Iran may have ordered Hamas to initiate this round of violence to cause problems for Israel and distract international attention from Iran's nuclear weapons program. In its quest for regional hegemony, Iran continues to be a major state-sponsor of terrorism, and constitutes the greatest threat to global stability. By enlisting its proxy to attack Israel, the fundamentalist government in Iran is reinforcing its commitment to see Israel wiped off the map.